Great news for our fulfillment customers! You now have the ability to edit orders directly through the portal. This is a feature many of you have asked for and thanks to our technology team; you can now make changes directly. No need to contact Client Services! It’s not unusual for customers to ask to change orders they’ve already placed. Perhaps they’d like to add another item or fix a typo in the “ship to” address. Or maybe you’d like to remove an item that’s gone out of stock. Now you can easily edit many of the fields on your open orders with our new “one click” editing capability. Your shipment records will always be accurate and your customers will see the correct information on their packing slips. Important note: This feature applies to orders that are “on hold.” Orders with the following statuses can’t be modified: 1) sent to WMS, 2) shipped, or 3) closed. Our tutorial video and the text following it will help you get started. From the “Edit this order” page, you’ll see order attributes on the top left side of the screen. 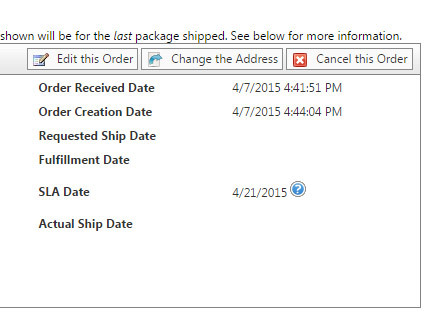 Change the default packing slip: Change the packing slip template selection using the drop-down menu to the right. Change the onsite-purchase status: For tasting room orders, you can change the selection to onsite by selecting “yes” from the drop-down. From the “Edit this order” page, you’ll see messaging fields on the top right side of the screen. 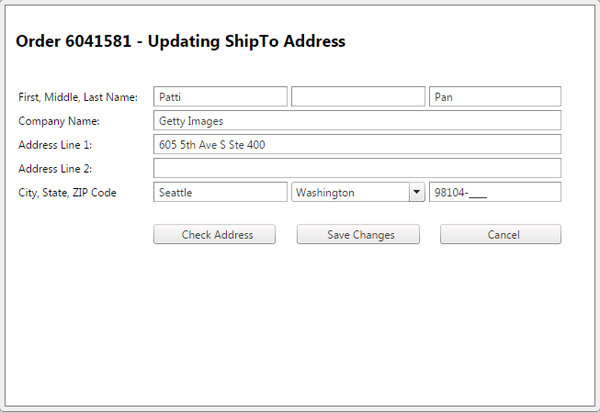 Edit the shipping instructions: Use the text box to the right to make changes. If you’re changing an address, you’ll also notice a new look and feel. From the edit order screen, click “Change this address” in the upper right corner. Finally, Inventory In and Inventory Out requests can now be canceled via the portal.